Due to the huge success and quick sell out of the original 9th February ‘Bahamas’ Railtour, we have decided to launch a second tour date, just one week later, so that all of our wonderful enthusiasts are able to get the chance to enjoy one of 45596’s first mainline running in over 25 years! LMS ‘Jubilee’ Class locomotive 45596 ‘Bahamas, was the first of the four Jubilees of the class to be preserved and occupies a special place in railway history as it was the very last steam engine to be modified by BR in its attempts to improve the performance of its steam fleet with the fitting of its unique double chimney and blastpipe in 1961. The Bahamas Locomotive Society (BLS) bought 45596 in 1967. ‘Bahamas’ ran on the main line (1989 – 1994) before retiring to Oxenhope Exhibition Shed in 1997. 45596 moved to Tyseley Locomotive Works in November 2013 as a result of the BLS’s successful £996k bid to the Heritage Lottery Fund for help to give it the most extensive overhaul since 1961. 45596’s first steaming after its latest overhaul was on 27 September and, on its return to Ingrow, ‘Bahamas’ is about to operate on the main line once again. 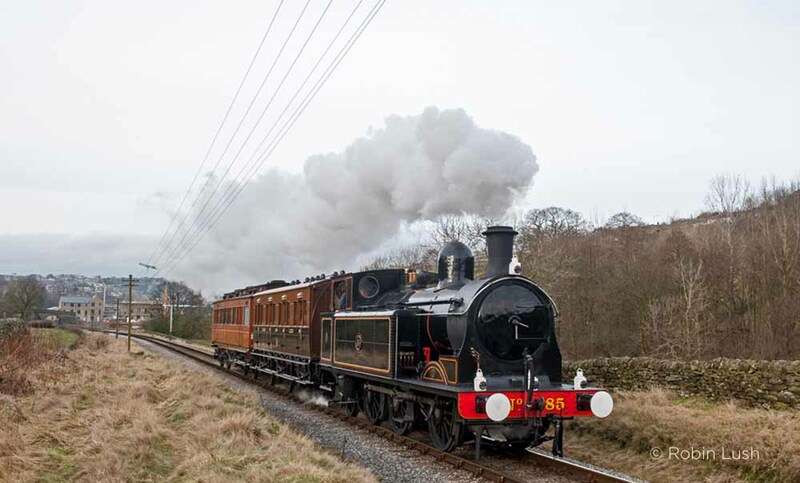 Promoted by Keighley & Worth Valley Railway in partnership with Bahamas Locomotive Society, ‘Bahamas’ will run from Oxenhope to Carlisle and return on Saturday 16th February 2019. Tickets are available to purchase online NOW! 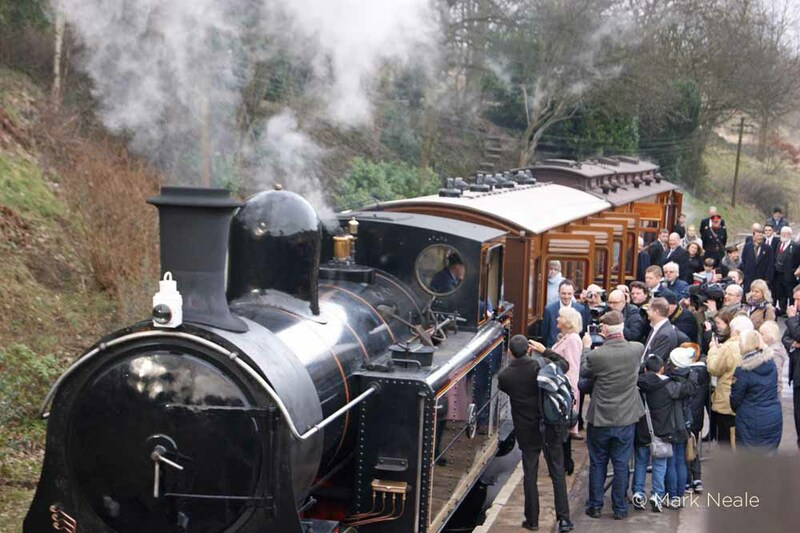 For more details and to book your ticket, click HERE to go to the main KWVR website. Following the most exhaustive overhaul the locomotive has received in since 1961 and now resplendent in its Brunswick Green livery, we are delighted to announce that LMS Stanier ‘Jubilee Class’ 4-6-0 no. 45596 ‘Bahamas’, is returning to the Worth Valley and, for the first time in 25 years, will run on the mainline with seats available for the general public! 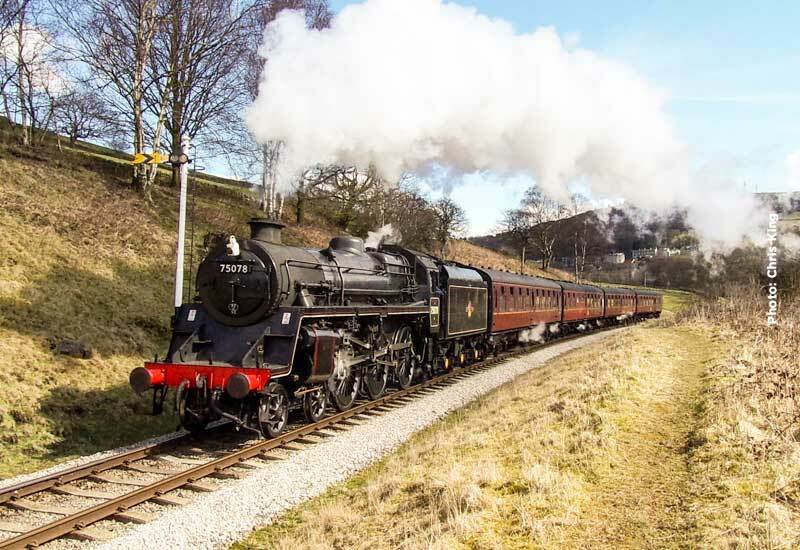 Promoted by Keighley & Worth Valley Railway in partnership with Bahamas Locomotive Society, ‘Bahamas’ will run from Oxenhope to Carlisle and return on Saturday 9th February 2019. 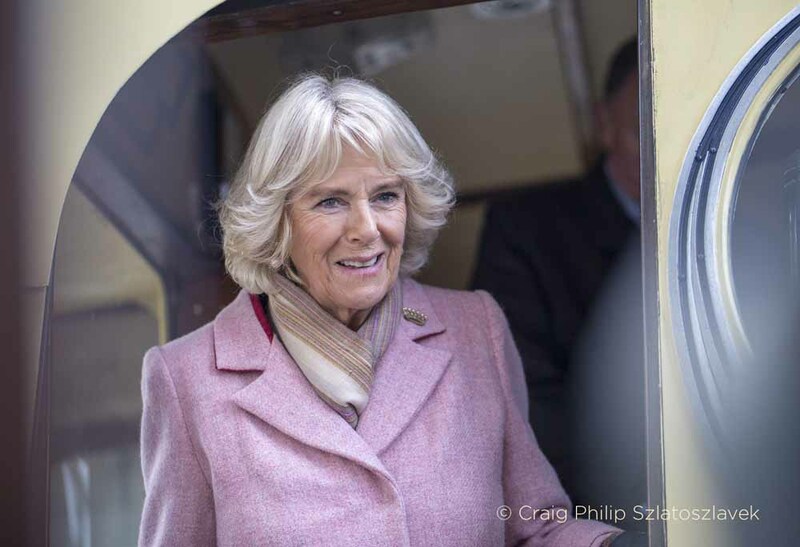 This will be a unique opportunity, the railtour being the first time that ‘Bahamas’ has completed a revenue earning run on the mainline since 1994! Tickets are now on sale to purchase online. To book your ticket, go to www.kwvr.co.uk. This will be a unique opportunity, the railtour being the first time that ‘Bahamas’ has completed a revenue earning run on the mainline since 1994! Tickets will be available to purchase online on Friday 16th November. 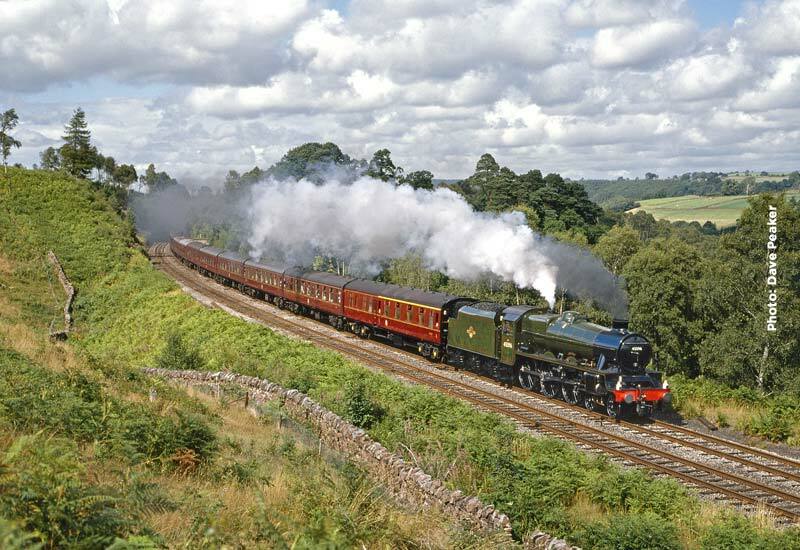 To book your ticket, on Friday (and not before) go to www.kwvr.co.uk. 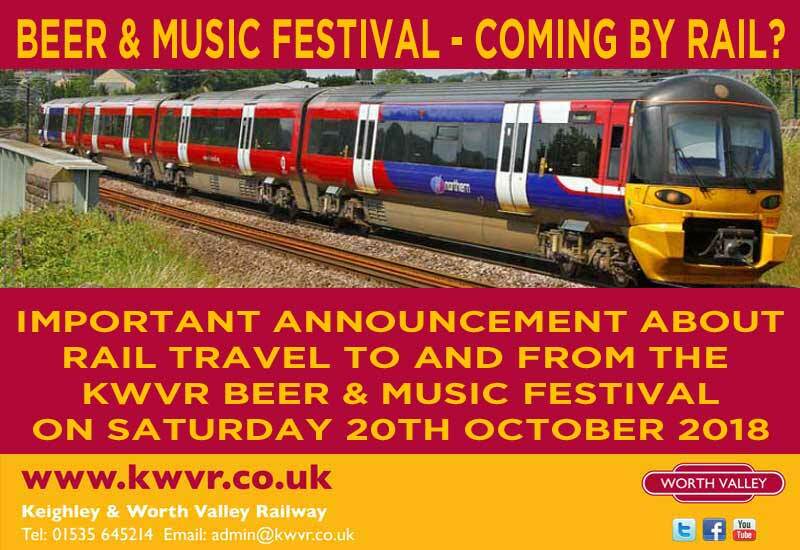 Some weeks ago the RMT union announced a total of 12 days of planned strikes on consecutive Saturdays, including the Saturday of our Beer & Music Festival, 20 October which will impact on their services to and from Keighley. This Saturday, 20 October, Northern will be operating a reduced timetable with very few trains running before 9am and after 6pm. Northern has released the its train timetable for the Leeds / Bradford to Skipton service (calling at Keighley) and visitors to the Festival should have little difficulty arriving by rail to enjoy one of the North’s best Beer & Music Festivals. For the timetable in operation, click HERE. However the difficulty arises when returning home with the last trains to Leeds at 19.01 and 20.55, Bradford at 16.18 and Skipton at 18.21 and 19.23. 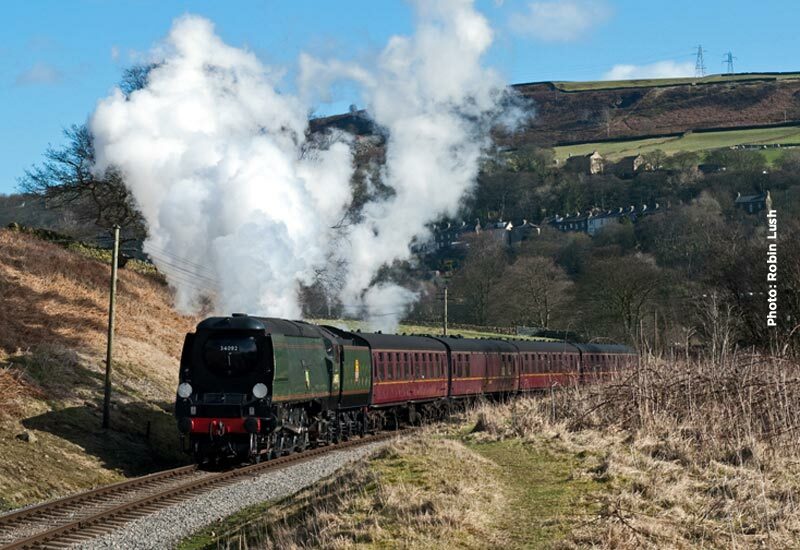 BUT do not despair, in the true spirit of the KWVR, where we do everything we can to ensure our visitors have a good time, revellers travelling in the Leeds direction will benefit from an express coach service from Keighley, provided by the KWVR, to Bingley, Shipley and Leeds railway stations. These coaches will depart from Keighley Station concourse at 20:30 and 22:30. 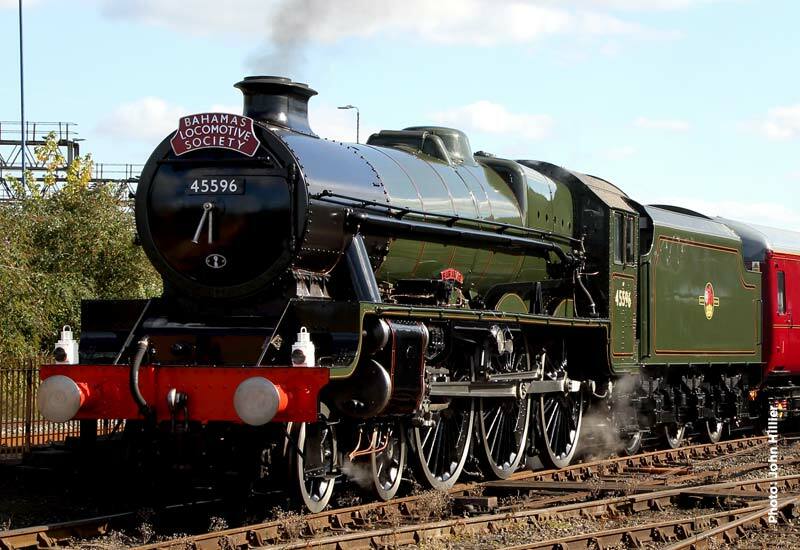 Although these coaches will be provided free of charge by the KWVR, I am sure you will understand that we will be very happy to receive donations which will be gratefully welcomed on the night. In addition at 21:30 hrs (approx. 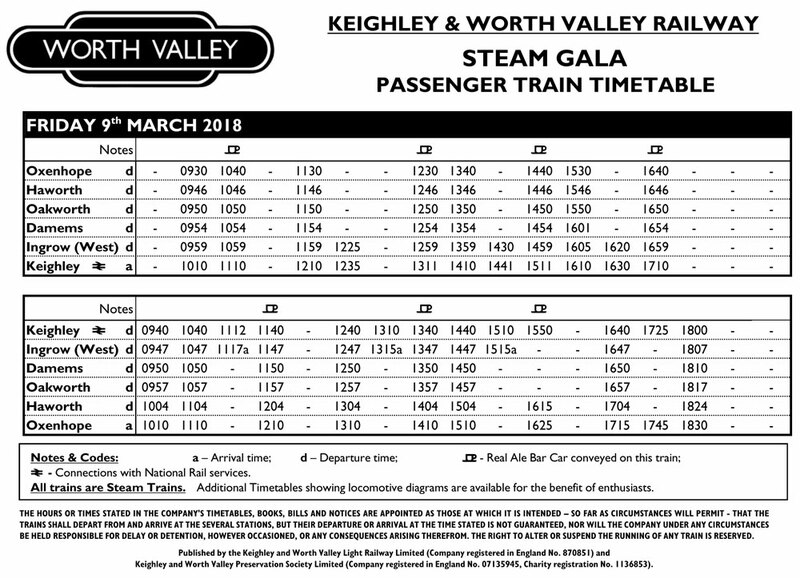 – exact time will be published when known) there will be additional train service from Keighley to Shipley and Leeds ONLY – With kind support from London North Eastern Railway. Please note that standard national rail tickets will be required on this service. Summer’s here, the earth has been scorched by the beating rays of the sun, the reservoirs are getting low and there’s little sign of it cooling down any day soon. To add to that the children are off school for 6 weeks. 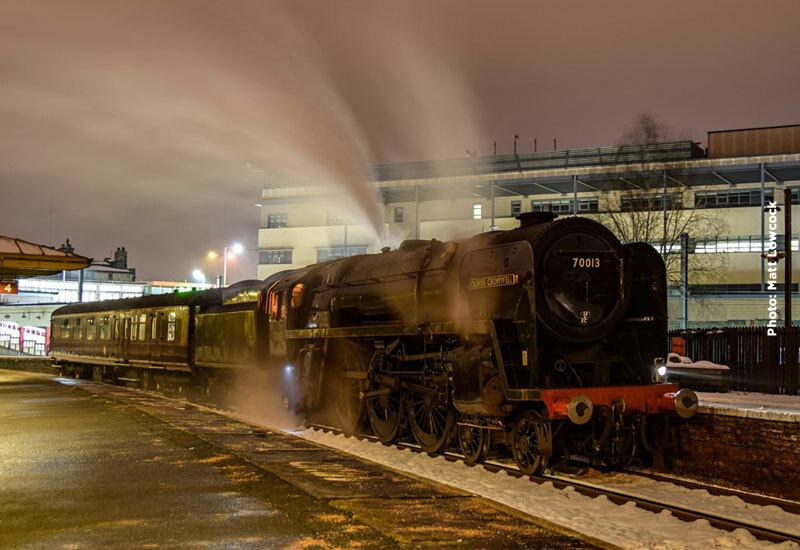 Yes, it is that time of year when your thoughts turn to booking your children’s and grandchildren’s place on one of our Santa Specials – the original and the best! On-line booking is now open. The trains will book up fast, so to make sure you reserve your places on the day and train you want, don’t hesitate, go to our On-Line Booking service NOW! 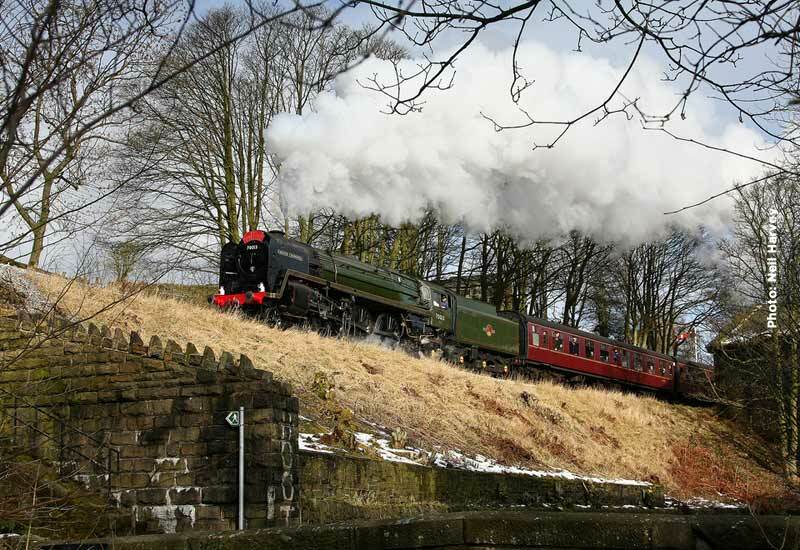 The KWVR offers you the rare opportunity to drive one of the world’s true Icons of Steam – 46100 ‘Royal Scot’ on the famous Keighley and Worth Valley Railway. Experience the thrill of being in control of an Express Passenger locomotive on the country’s only complete heritage branch line. A one off special offer during our 50th Anniversary celebration gala. On the evening of Thursday 28th June 2018, ‘Royal Scot’ will be available for THREE participants to drive one round trip of the Worth Valley branch, hauling the Bahamas Locomotive Society’s Queen Mary brake van. We are delighted to announce a further visiting steam locomotives, one returning home and an additional mainline diesel for the 8 day Gala. We’re delighted to share with you the news that 34092 ‘City of Wells’ will return this Summer – for our 50th Anniversary in June. Thanks go to the current owners, life long and KWVR founding Members, who have made the Loco available for the last time under their ownership. Although based on the KWVR since being rescued from Barry scrapyard in the 1970s ‘City of Wells’ was never a suitable locomotive for a short, steep 5 mile branch line. Having been marooned at Bury due to bridge problems in Keighley, the ELR were able to make greater use of the locomotive whilst in their care, than would be the case on the KWVR. 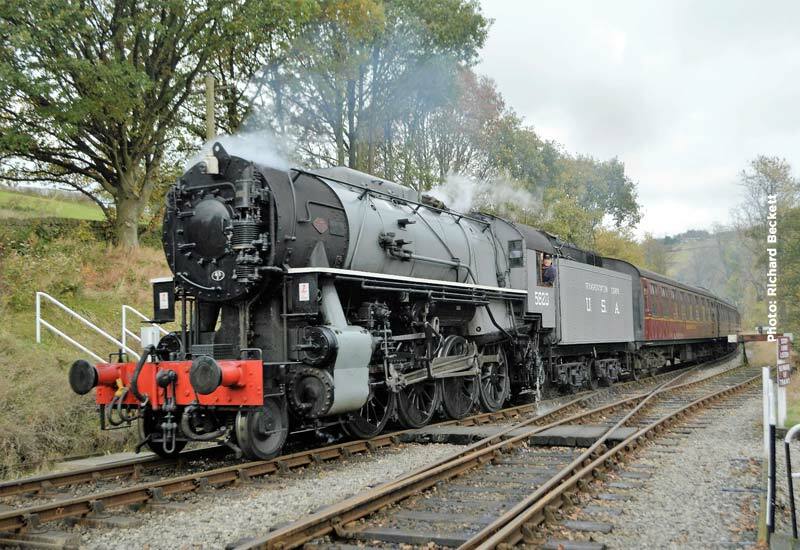 The private owners of the locomotive made the decision to pass this superbly restored ex-Southern Pacific onto new owners and, as the ELR is more suited to it, are in the process of selling ‘City of Wells’ to the East Lancashire Railway at Bury. It is with great pleasure therefore that we welcome 34092 to its spiritual home for one last time in the original owners care. Returning for the first time since it returned to traffic in 2017, the KWVR’s very own ‘Black 5’, 45212, is making a brief appearance in between mainline duties. As part of the agreement with Ian Riley Engineering to restore 45212 to mainline condition, the KWVR had use of the locomotive, or another member of the class, at various time during the year. Ian Riley’s sister locomotive 44871, spent few months over the Christmas period in lieu of 45212. 45212 was one of the first locomotives to arrive on the line after re-opening, being purchased straight out of service when steam traction ceased on British Railways, having had the distinction of heading the final steam hauled revenue earning service on August 4th 1968. Class 50, 50 035 Ark Royal, has been confirmed as attending our 50th Anniversary courtesy of our friends at ‘The Class 50 Alliance Ltd”. Withdrawn in 1990, 50 035 was purchased by the 50 Fund. Based on the Severn Valley Railway, it is now owned by the ‘Class 50 Alliance’, an amalgamation between the 50 Fund and Project Defiance. The group now owns 4 members of the class. 50 035 was the first Class 50 to be preserved and the Class is also celebrating their 50th Anniversary this year. This is the locomotives first visit to the Railway and will feature on Saurday 30th June and Sunday 1st July as part of our 50th Anniversary Mixed traffic and Diesel Days. There are three very special events this weekend. Whilst the nation looks on in awe of the Royal couple and football fans watch the FA Cup final, Haworth will be holding its Haworth 1940s Weekend, arguably one of the best such events in the country. 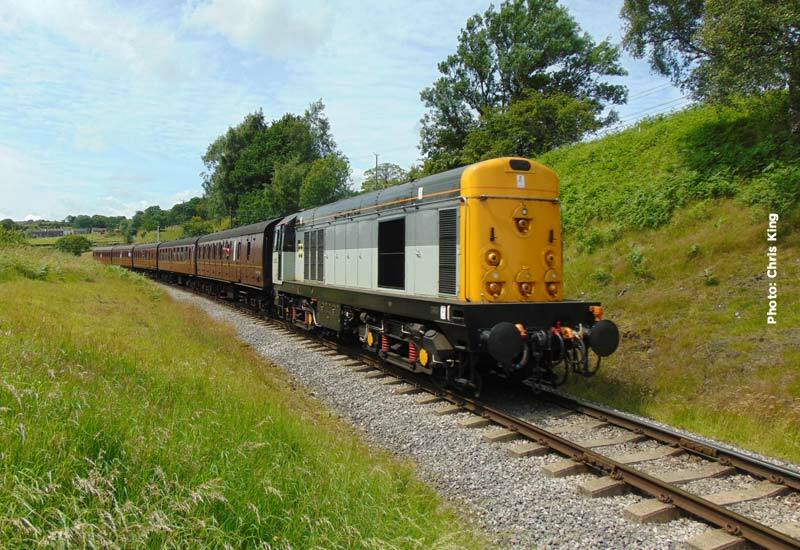 In addition, the early morning diesel service from Oxenhope will be locomotive hauled stock in the capable hands of Class 20, no. 20 031. With FOUR mainline locomotives in action this weekend is almost a mini-gala. 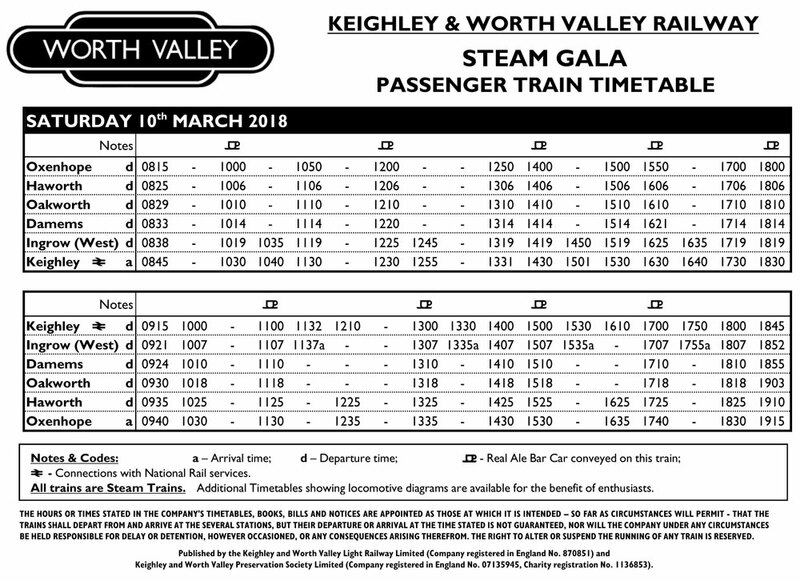 First trains depart both Oxenhope (diesel hauled) and Keighley (steam hauled) at 08.45 with the last diesel service, the 10.15 from Keighley and then its 100% steam for the rest of the day. The same timetable operates on Saturday and Sunday this weekend, please click HERE for this weekend’s timetable. From the re-opening in June 1968 until 1971 the Keighley & Worth Valley Railway had shown a steady rise in passenger numbers when EMI chose the KWVR as the railway line of the fictitious GNSR immortalised in Edith Nesbit’s book ‘The Railway Children’ and instantly raised the profile of this sleepy West Yorkshire branchline. So successful was the publicity that the film generated, the Society directors of the day had to decide to increase the capacity of the line to cope with the number of passengers wishing to travel on The Railway Children’s railway by building a passing loop, now known as Damems Junction. Whilst the story of the film and the building of the loop are stories in their own right, the film is also responsible for a humble Great Western Pannier tank, number 5775, being shot to fame. When hauling the Old Gentleman’s saloon, it became affectionately immortalised by many, when famously ‘Bobby’, played by Jenny Agutter, successfully attracted the driver’s attention to a landslip blocking the line with 5775 skidding to a halt as ‘Bobby’ fell to the ground in fear. Sadly 5775 has not worked on the Railway for some time and is currently on display in Oxenhope Exhibition Shed in its fictitious GNSR livery. However to mark the importance that 5775 played in the history and success of the KWVR, we are delighted to announce that Pannier Tank, no. 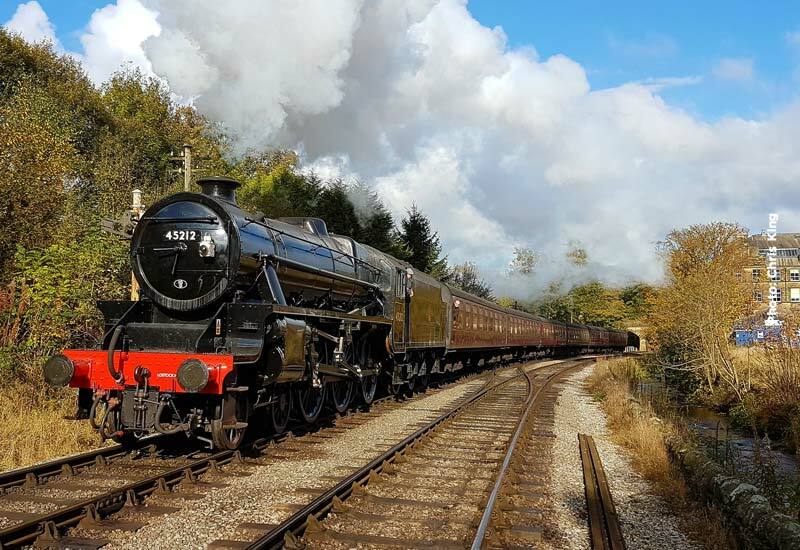 7714, a member of the same class of locomotive as 5775, will be joining us for our 50th Anniversary Gala courtesy of our friends at the Severn Valley Railway and the SVR Pannier Tank Fund. 7714 will join us for the later part of our 8 Day Event, 24th June – 1st July. 5775 was built at Swindon by the Great Western Railway in 1929 whereas 7714 was built for the GWR by Kerr Stuart & Co. of Stoke, in 1930 and entered service in Birmingham at the Tyseley shed, now the home of Tyseley Locomotive Works, the same year. Throughout its working life it worked at various sheds until withdrawn by British Railways in January 1959 and sold to the National Coal Board for use at their Penallta Colliery near Rhymney in South Wales. On withdrawal by the NCB, 7714 was purchased by the SVR and after a lengthy restoration was returned to service in 1992. Since then it has had subsequent overhauls with the latest completed in November 2016. Introduced in 2015, the Railway operates diesel locomotive hauled trains, as well as steam hauled services on selected Saturdays. For the last 3 years, this has proven very popular and the Railway is pleased to repeat the exercise for this year – big diesel haulage ALL DAY on certain Saturdays May through to September. As with last year the days will be sponsored by local breweries, so join us on these days when there will be a Diesel Hauled service ALL DAY in addition to our usual steam hauled service. Some of you will have seen on our Facebook page that we are (I am) having considerable difficulty with our website http://www.kwvr.co.uk . With respect to the Gala, the positive news is that 70013 Oliver Cromwell arrived via our mainline connection, at a time when diesel and electric traction on the national network were in chaos, but steam locomotion made it through onto Worth Valley metals. Hard on the heels of ‘Oliver Cromwell’ is our other visiting locomotive, S&DJR 7F 2-8-0 53808 which left its home on the West Somerset Railway today for its journey north (hopefully with its tender). 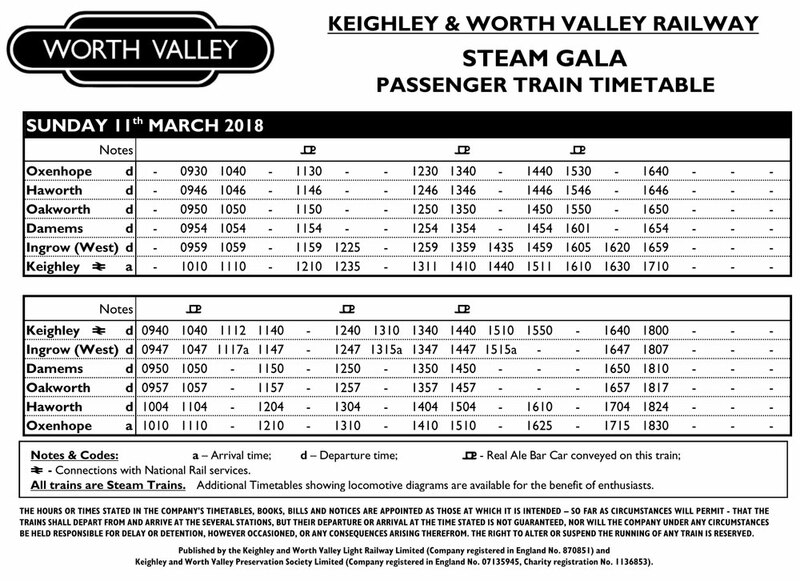 Last week we announced that visitors to the Spring Gala starting Friday 9th March, will, for the very first time, have the opportunity to travel on the Goods Train from Keighley to Oxenhope behind one of our locomotives at the Gala. These trips are hauled by visiting 7F 53808 on Friday and Sunday, with home based S160 5820 hauling a train that it was designed for on Saturday. 70013 Oliver Cromwell is booked to work the Sunday evening trip (Please note that this is a one way evening trip, no return, so we would advise parking at Oxenhope). The price is £40 per person with numbers strictly limited. 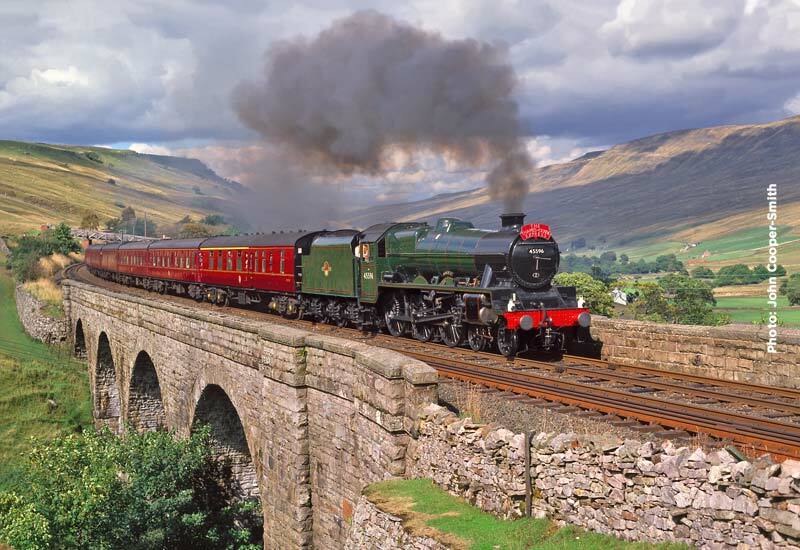 Price includes your Rover Ticket that allows unlimited all day travel and Rail Story entry. Booking is in advance online. Please note that locomotives are subject to change. Brake Vans are not as comfortable as passenger carrying vehicles and can jolt. You must be medically fit, free of any health problems that could be affected by the rougher nature of the vehicle. You will be asked to sign an indemnity form by the host on arrival who will give you instructions for the trip. Dark clothing should be worn, no high visibility vests. NEW FOR SPRING GALA 2018! New for this years Spring Steam Gala we’re offering the rare chance to travel on the Gala Goods Train! 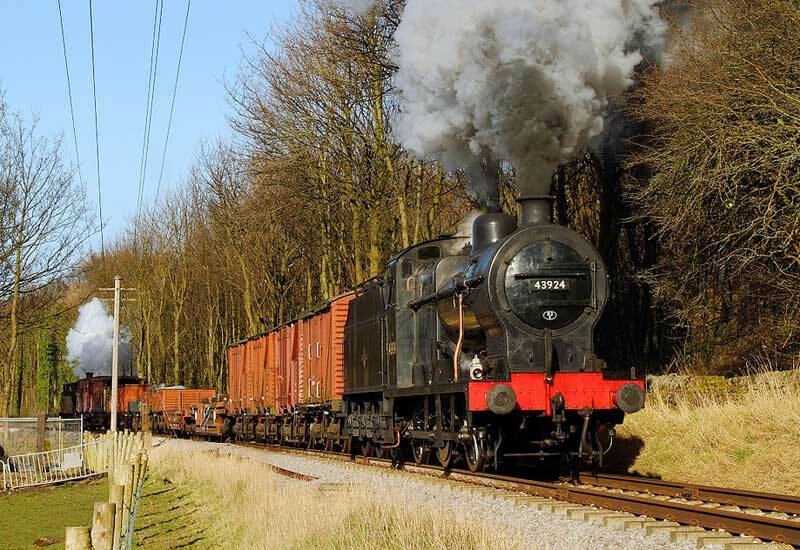 You will travel on the Goods train from Keighley to Oxenhope behind one of our locomotives on the Gala. 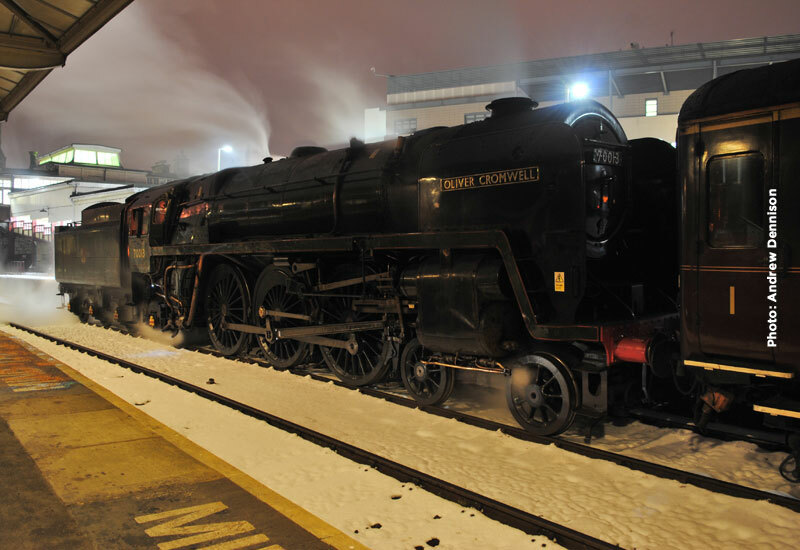 The trip will depart Keighley early morning each day, with an additional ‘Cromwell Goods’ on Sunday evening. 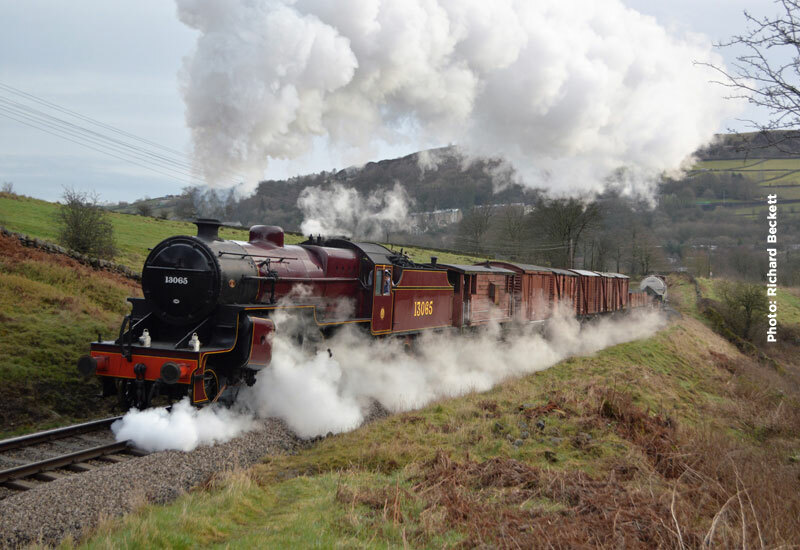 The morning trips are all scheduled to do a full return trip of the Railway with a banking locomotive added at Haworth Loop, before that locomotive returns you to Keighley where you can collect your tickets from the Booking office. These trips are hauled by visiting 7F 53808 on Friday and Sunday, with home based 5820 hauling a train that it was designed for on Saturday. 70013 Oliver Cromwell is booked to work the Sunday evening trip (Please note that this is a one way evening trip, no return, so we would advise parking at Oxenhope). Price includes your Rover Ticket that allows all day travel and Museum Entry. £40 per person – strictly limited to low numbers. 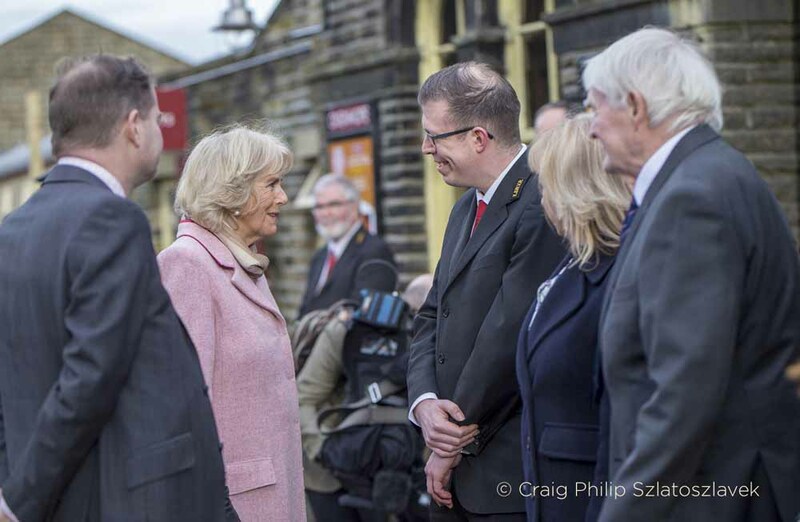 Her Royal Highness the Duchess of Cornwall visited the Keighley and Worth Valley Railway on Friday the 16th February as part of our 50th Anniversary celebrations of the railway re-opening during 1968 and the achievements made by volunteers during this time. 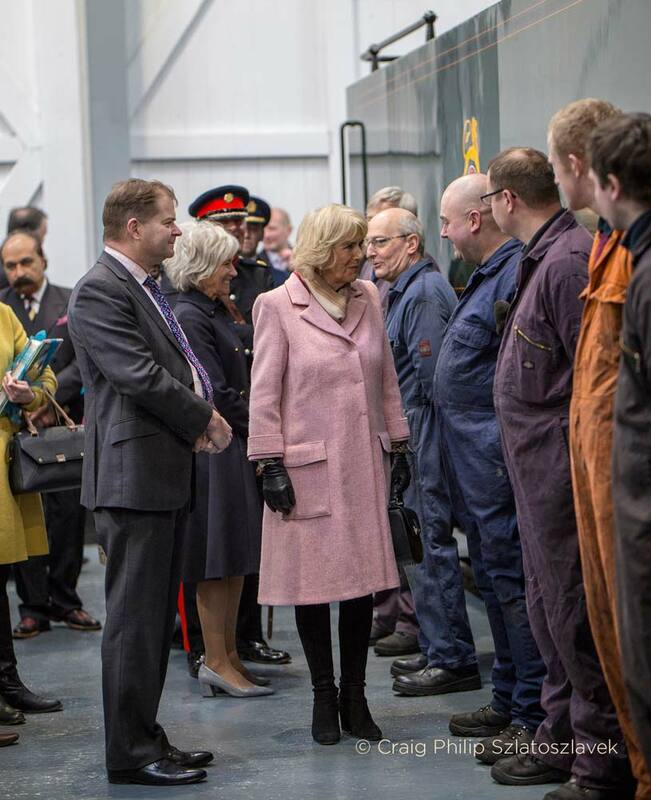 During the visit, that took place mid-afternoon on the 16th, Her Royal Highness visited the locomotive maintenance facility in Haworth and met a new generation of volunteers, plus others of more mature stature, working on steam locomotive restorations. 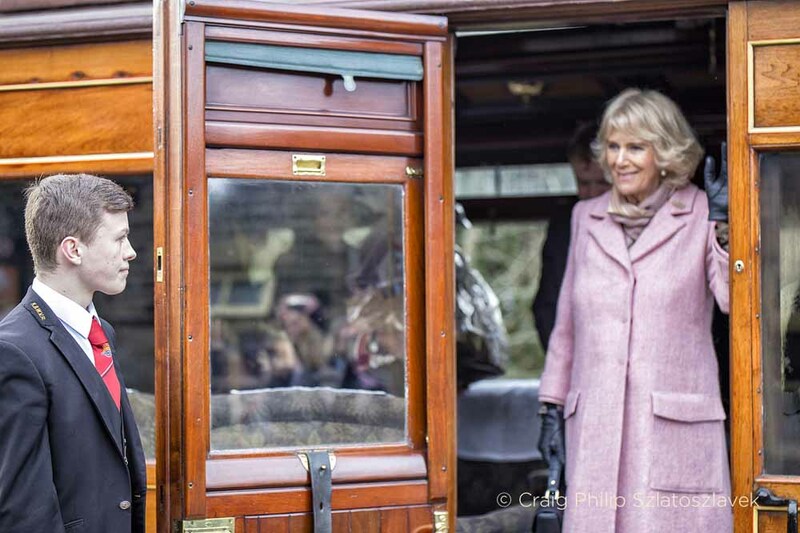 The Duchess then travelled by a steam hailed train hauled, appropriately, by Taff Vale Railway no. 85 to Oxenhope in the Old Gentlemen’s Saloon featured in the classic film ‘The Railway Children’. We have previously announced that two locomotives will be visiting the KWVR for our Spring Steam Gala on March 9th – 11th – SDJR 7F 2-8-0 53808 and LMS ‘Black 5’ 4-6-0 44871 – but now it is THREE!. 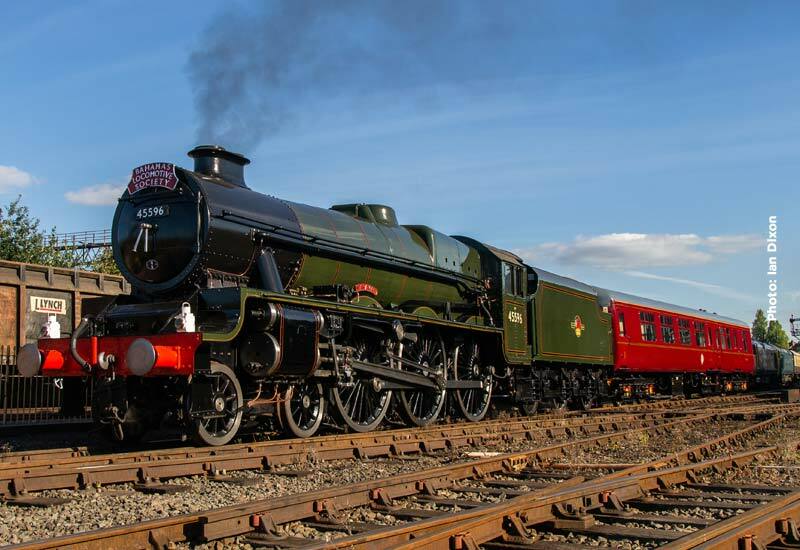 We’re delighted to announce a third locomotive, and arguably the most prestigious, subject to final contact, BR ‘Britannia’ Class 7MT 70013 ‘Oliver Cromwell’. 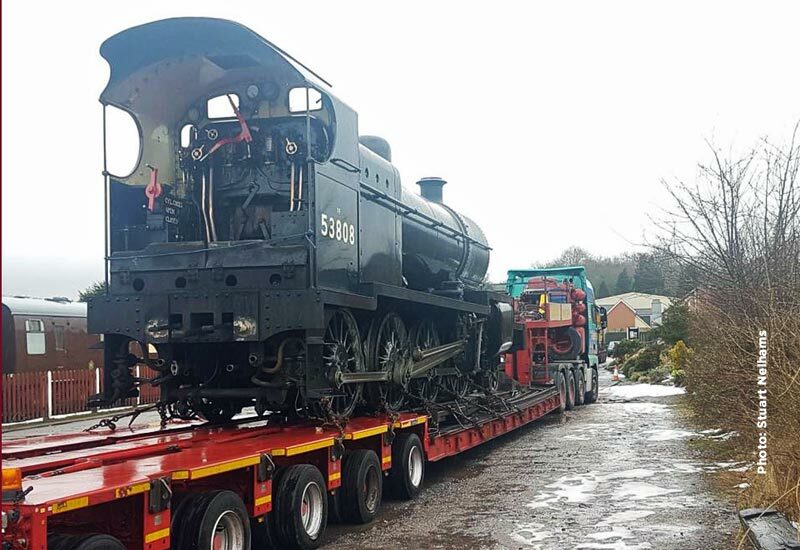 ‘Cromwell’ will arrive via our mainline connection and comes courtesy of the National Railway Museum and 5305 Locomotive Association, who are custodians of the locomotive. As seen in the photographs in this post, 70013 last visited in February 2009 and this will be its last appearances before withdrawal for overhaul. Three visiting locomotives plus the home fleet will result in one our biggest visiting locomotive line ups ever! 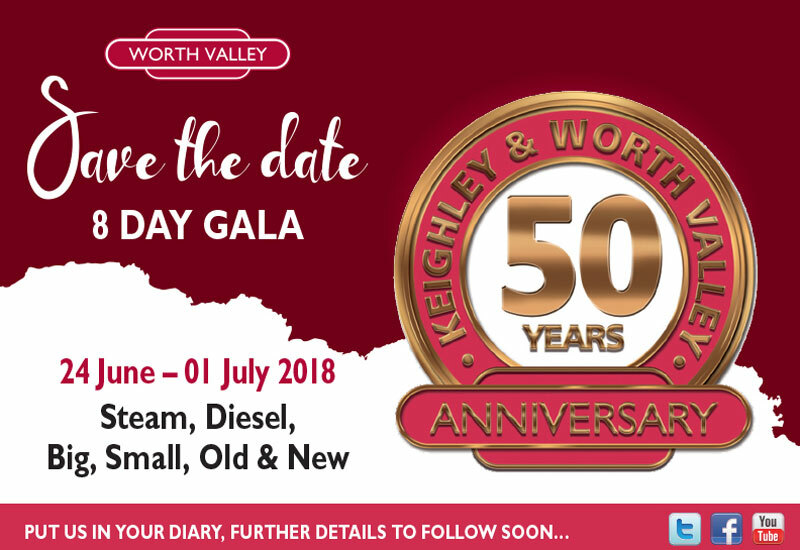 Surely a perfect way to kick-start our 50th Anniversary celebration and we are sure you will all agree and support the Railway in this great 2018 Gala. The Railway has never just been about steam locomotives. In the late 1950s even before the Railway was closed, class 108 Diesel Multiple Units were often seen on the line. The Railway is also proud to host many ex shunting locomotives, as well as prototype D0226 and class 20, 25 and 37 diesels alongside our impressive collection of steam locomotives.This day will feature both steam and diesel trains and should be something for everyone with some late evening running and an early start! Just as day turns to night, steam on BR made rapid switch to diesel power. The KWVR was one of the first Heritage Railways to host a ‘Modern Traction’ Event – which then became ‘Diesel Galas’. In 1988 the first ever event featured class 55 Deltics and Hydraulic locomotives, in the shape of a class 35 Hymek and 52 Western. Our plan is to recreate some of those type of locomotives that ran in 1988. 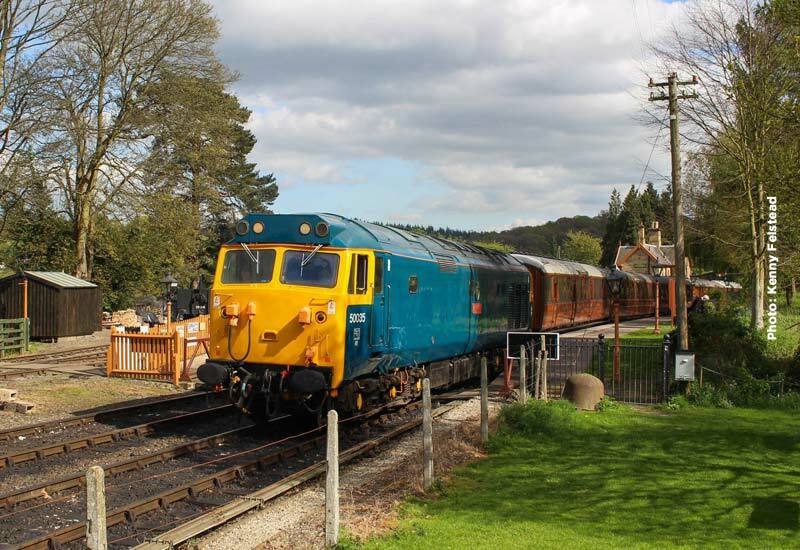 We are delighted to announce that the Deltic Preservation Society’s Class 55 ‘Deltic’ 55 019 ‘Royal Highland Fusilier” will be in visiting the Railway over the weekend and will operate some trains on both June 30th and July 1st. 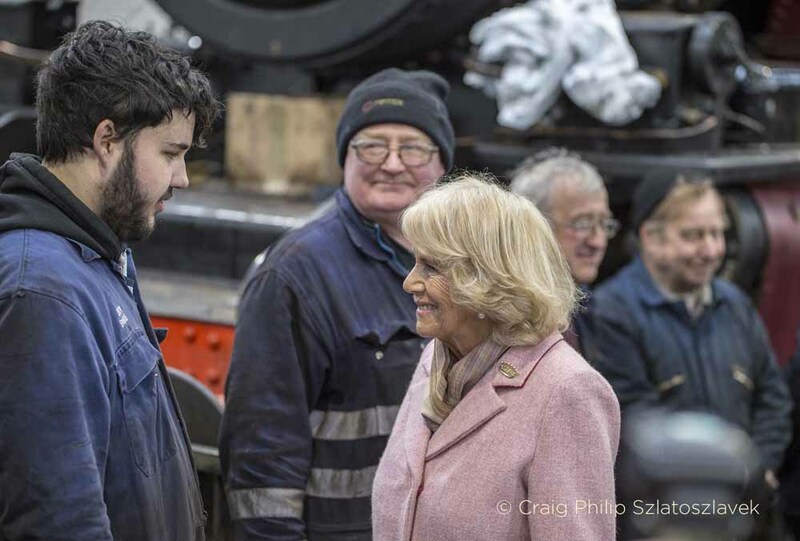 As well as being our 50th Anniversary, 2018 marks 30 years since the KWVR held its first diesel gala. In 1988, we also had a ‘Deltic presence in the form of 55 015 ‘Tulyar’ and 55 016 ‘Gordon Highlander’. 2018 is such a big year for us. Keep an eye on our Facebook page and Website for more announcements over the coming week. This popular event returns this weekend to once again tickle the taste buds of the discerning ale drinker with approximately 150 beers (mostly real ales) from all over the country to choose from. Cider and wine drinkers will also be able to have their thirst quenched with a wonderful selection of fine wines and ciders. New for 2017 we will also have a selection of artisan gin available at Oxenhope and a ‘Cocktail & Gin Shack’ available at Ingrow. Add in Music (Friday – Sunday) in the Exhibition Hall at Oxenhope and in the marquee at Ingrow and the stage is set for another excellent Keighley & Worth Valley Railway Beer and Music Festival. The Festival opens on Thursday at 12.30 with a diesel multiple train service between Keighley, first train at 12.25, & Oxenhope, first train at 13.00. Steam and mainline diesel services operate on Friday, Saturday and Sunday. For the all the details – beer list, bands, timetables, buses – visit the Beer & Music Festival page of the website. Timothy Taylor’s ‘KWVR 150th Anniversary Ale’ (5.3%) – a strong English ale based on a brown ale, with a real depth of flavour. With just 1 month to go the annual Beer & Music Festival, the organiser have released the anticipated beer list which is now available to view and download. For fall the details of one of the North’s best Beer & Music Festivals, visit the Beer & Music Festival page of the website.